She:kon, sken:nen kowa. Welcome to “Children of God”. Ask yourself: have I ever read a book written by an Indigenous author? If not, why? Am I able to name the traditional territory I stand on? If not, why? Do I know what “to kill the Indian in the child” means and hides? If not, why? These are a few of the crucial questions Ry Moran, Director of the National Centre for Truth and Reconciliation, asks Canadians; pressing to broaden discussions surrounding trauma in Indigenous communities. The compelling musical “Children of God” might be exactly what Canada needs in order to understand the importance of asking these questions. 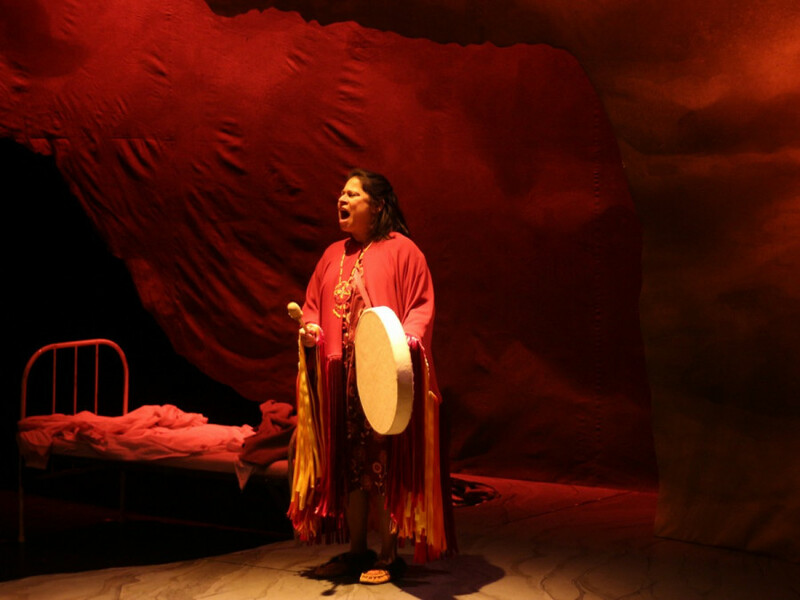 In collaboration with Urban Ink, Segal Centre for Performing Arts in Montreal is hosting Corey Payette’s musical “Children of God”— a way to initiate discussions about the national process of Truth and Reconciliation in an arts setting. 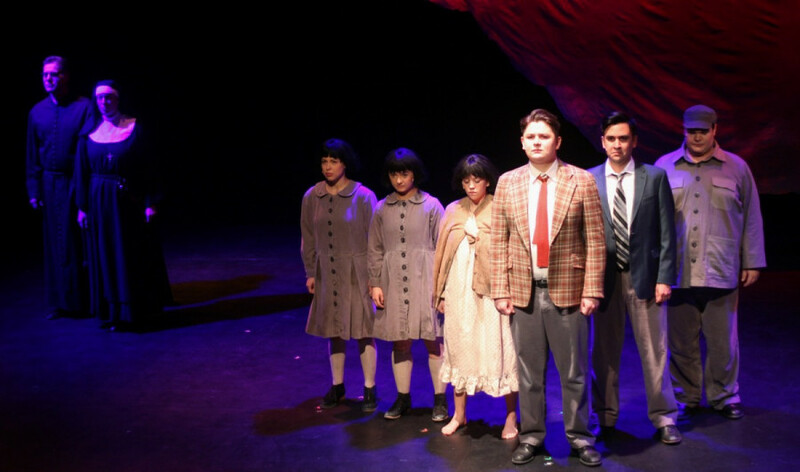 Since its debut in 2017 at the Vancouver York Theater, the critically-acclaimed musical has been shedding light on residential schools— a horrific, shameful part of Canadian history that is still overlooked by the education system. Set between the 1950s and 1970s, “Children of God” tells the story of an Oji-Cree family whose children, among over 150 thousand other First Nations, Metis, and Inuit children across Canada, were taken away and enrolled in one of Northern Ontario’s residential schools. Debuting in Montreal on Jan. 20, the play follows Rita, portrayed for the first time in this third edition by two-time Gemini Award-winning actor Michelle St. John, trying to get past the school’s gate to her children, Tom (Dilland Chiblow) and Julia (Cheyenne Scott), who never knew she came. Through song, dance, and music, this vital piece on reconciliation blends ancient traditions and contemporary realities to illustrate the resilience of Indigenous communities. The play touches not only on the horrific abuse endured by the children or the shocking statistics surrounding their deaths, but also what it means to overcome the unspoken stories. The anger and frustration that emerged from discovering a part of his own history later on in his life fuelled Payette to research and develop “Children of God”. Originally from the Mattagami First Nation in Northern Ontario, Payette confessed that the sensitive subjects showcased in the play were sadly not something that his community openly talked about. They were not part of the education, either; he remarked that it is deeply appalling to realize it is simply not covered. As the work and confessions from the Truth and Reconciliation Commission of Canada started to introduce the issues of residential schools, he saw an opportunity to deepen the conversation through his art. While a musical about residential schools could be perceived as an insensitive act by some, it’s important to understand how deeply it’s embedded in Indigenous culture. You cannot tell a story without having a song—and without that song having a dance—and that dance tells a story, Payette explains. It’s a full circle. Musicals have the ability to work beautifully when a character can no longer speak their emotions and experiences. In a context where children were forbidden to speak their own language or be who they are, Payette says that singing was the perfect way to show what was lost by pushing Indigenous culture down. Having so many Indigenous performers on stage was also an empowering way of ensuring that they were the active storytellers in educating an audience about a story that took place on their land and to their peoples. By seeing a cast predominantly composed of Indigenous performers and the thoroughness Payette put into collecting memorials from elders during his creation process, we inevitably draw a comparison with Robert Lepage’s failed attempt with Kanata. Payette expected these observations, but respectfully refused to comment while stressing the importance of creating a space where Indigenous voices are heard. It was also essential for the production to allow the audience to absorb these stories in a healthy way. As a result, conversations are open to the audience after every performance with emotional support workers. The talks led to confessions from survivors sharing their stories in previous representations over Canada, which perfectly displays the influential weight that comes from such a platform. At a time when true reconciliation is being doubted as communities aren’t seeing the government’s actions reflecting their words, a play like this offers a space to rethink the meaning of reconciliation – all while committing to continuing the conversation. The power of traditional storytellers is carried on beautifully: planting seeds and changing minds. 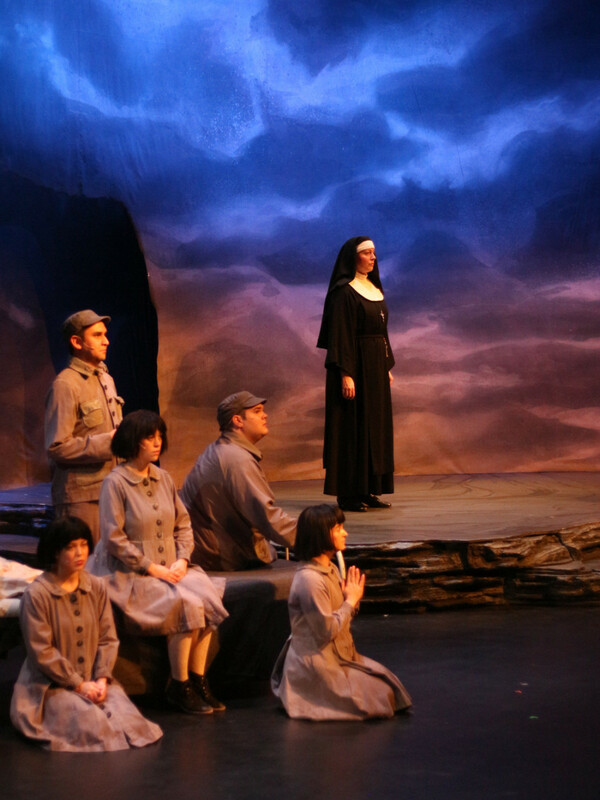 Children of God plays from Jan. 20 to Feb. 10 at the Segal Theatre, 5170 Côte-Ste-Catherine Rd. Call 514-739-7944 or visit segalcentre.org for more information. Update: A previous version of this article stated that over 150 million First Nations, Metis, and Inuit children across Canada, were taken away and enrolled in one of Northern Ontario’s residential schools between the 1950s and the 1970s. In fact, over 150 thousand were taken. The Link regrets the error.